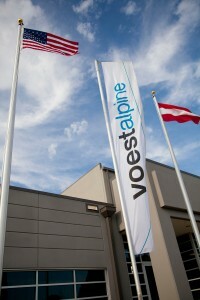 A kickoff meeting was held in Chicago on 23 october in an effort to strengthen cooperation between the North American voestalpine companies. Approximately 90 managers, including the entire voestalpine Management Board, discussed the potential synergies between the all-together 36 subsidiaries located in Canada, Mexico and the United States. One of the objectives of the 2020 voestalpine corporate strategy is to increase the non-European sales figures in the coming years to more than 40 percent. This is why the Group is strengthening its presence in global growth regions by enhancing regional networks. 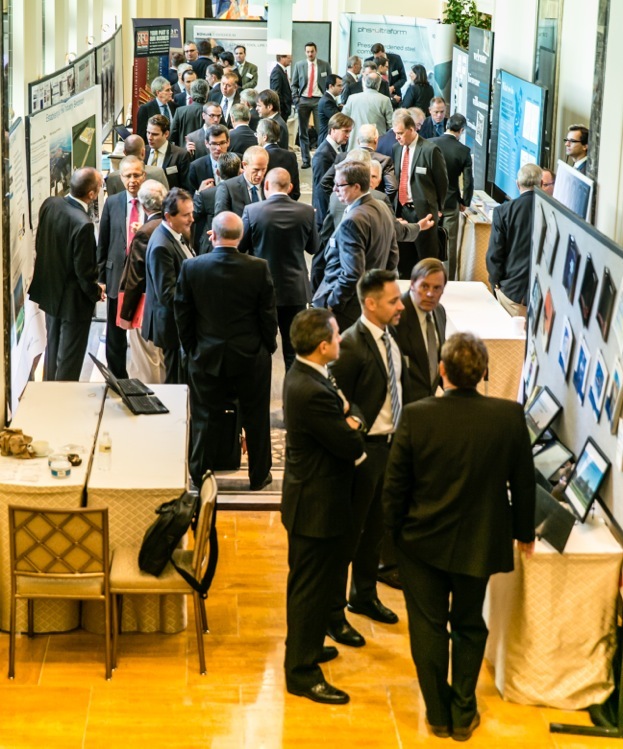 Following the bundling of all Group capacities in the east (Eastern Europe, Near East and North Africa) and asia (China and South-east Asia) networks, the third regional network, north america, has now been established. 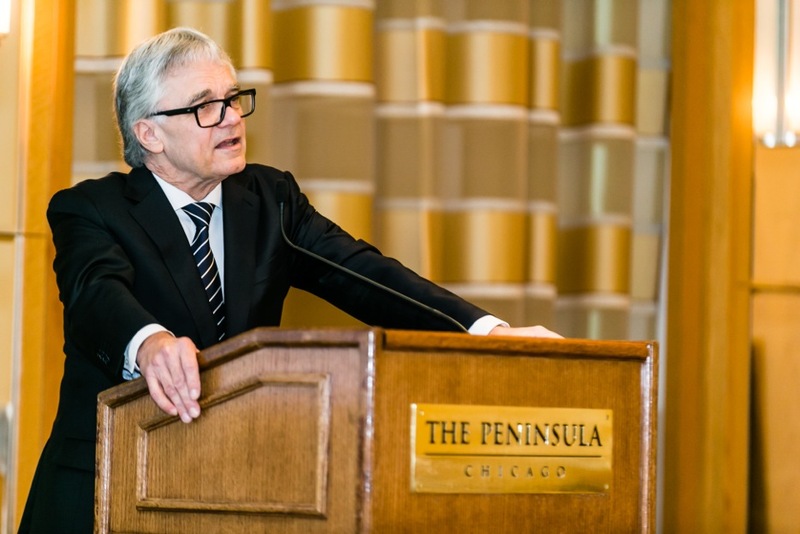 The first meeting the third regional network took place in Chicago, where several voestalpine companies, including voestalpine Nortrak, Böhler Uddeholm Corp. and Böhler-Uddeholm Precision Strip, as well as many customers have their headquarters. Following an opening speech by CEO Wolfgang Eder on the role of North America in the voestalpine strategy and the most important customer segments, the managers (most of whom were managing directors and sales directors) separated into five working groups (Automotive; Energy, Oil and Gas; Marketing and Brand Development; Purchasing and Logistics; Internal Potential Synergies) and discussed possibilities of future cooperation. "There are essentially two main strategies: On the one hand, we want to utilize market potential, offer package solutions and serve customers on a joint basis. On the other hand, we want to utilize the in-house synergies between the company locations as effectively as possible." Find here the complete Infographic. voestalpine is consistently following its international growth strategy and permanently searching for new opportunities to establish sustainable business models. 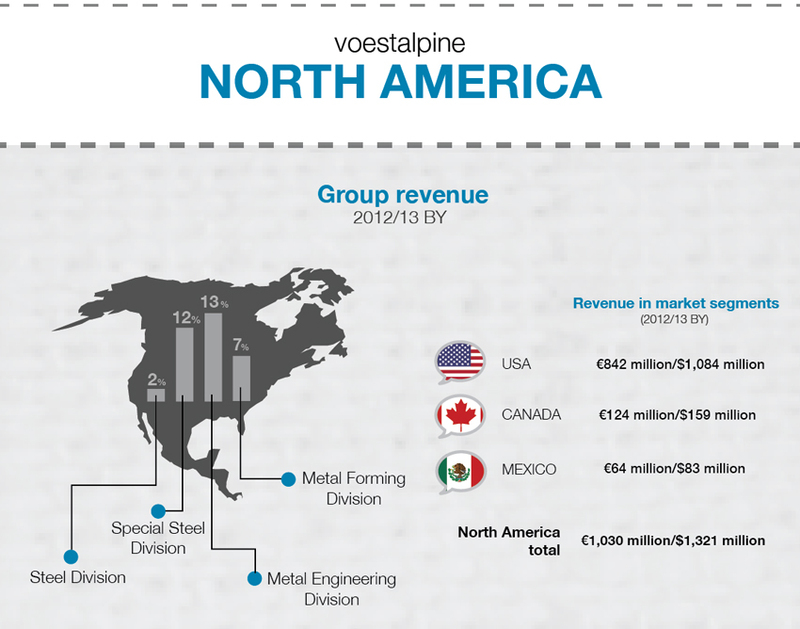 In addition to Asia, North America is also a focus for growth within the Group Strategy 2020. voestalpine is currently represented in North America by all its four divisions, with 68 sites and 36 companies in Canada (10 sites), Mexico (9 sites) and the USA (49 sites), and with a workforce of 2,617 employees.